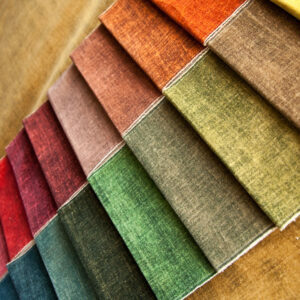 As in the fashion world, velvet has once again become very trendy in decoration. 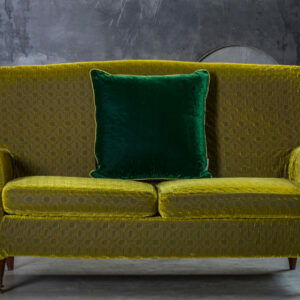 Velvet is at the same time luxurious, elegant and cosy. It makes a room instantly look more glamorous and it’s perfect to create a focal point. From vintage-looking sofa or dining room chairs to headboards, ottomans and throw pillows, velvet is the perfect fabric for a fall refresh, both in the bright and jewel-toned colours and in the pastel or neutral shades. All colours are beautiful in velvet. Since velvet is versatile for every style, from classic to contemporary, and plays well with most materials, you can easily add a piece of forniture upholstered in velvet to your interiors. 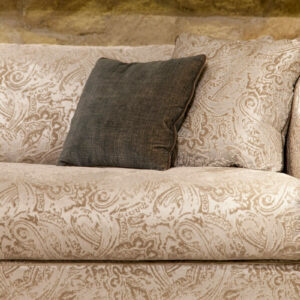 Have a look at the above photo gallery and get inspired by BROCHIER’s stunning plain and patterned velvet. 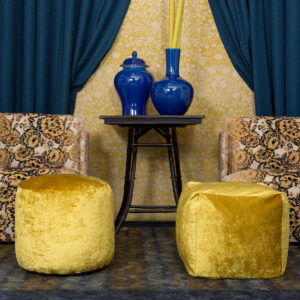 From our best-seller vintage-effect cotton velvet BOSFORO, available in forty inspiring colours, to the newest soft viscose cotton velvet DIAMANTE and the luxury silk jaquard velvet MIMETIC FLOWER and OMBRÈ SAFARI, we have plenty of velvet fabrics to satisfy your desire to decorate with this luxurious material. 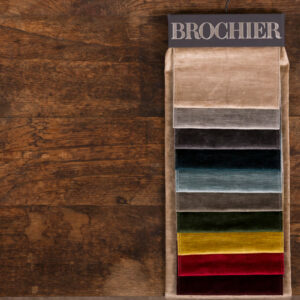 For more information on our velvet fabrics, we invite you to visit your local BROCHIER stockist, or contact us at +39 031 455 330. Don't miss the 5000-square foot Paris apartment renovated by interior designer Jean-Luis Deniot, featured in the November Issue of Elle Decor. Our Julie velvet fabric featured in AD Magazine China, November 2015 Issue. 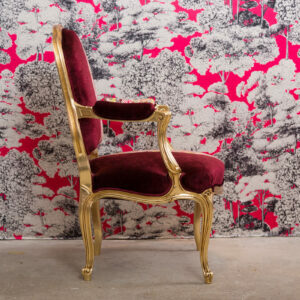 Purple velvet armchairs covered in BROCHIER Bosforo fabric for an eclectic Hong Kong home.